Hotfoils and Holograms are important for marketing to give an extraordinary look and to add security features to packaging. Both technologies offer the possibility to brand owners to shape their brand image as well as to attract customers on the point of sales. Although hot foiling and hologram stamping are well introduced in the market there is still a huge potential for higher efficiency, cost saving and quality to exploit. This potential can be developed with the Pantec CHEETAH™ rotary hot foil and hologram stamping system. 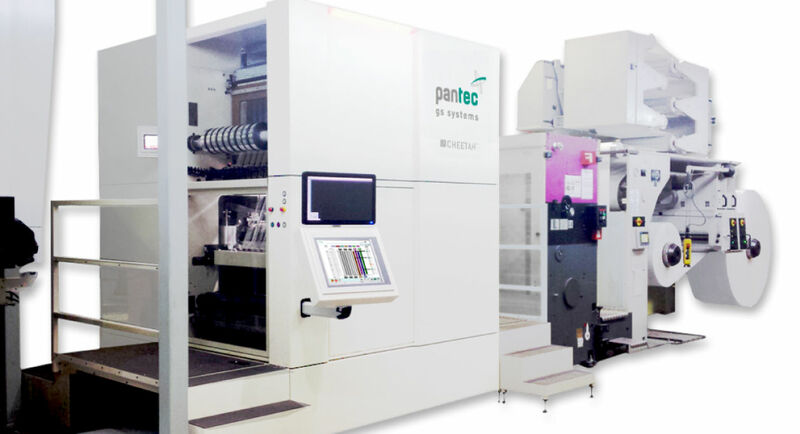 The Pantec CHEETAH™ is the world leading web hologram insetting and hot foil stamping system regarding performance, in-line integration possibility, operation economics as well as process technology. CHEETAH™ combines registered holograms with foil stamping in one pass with one single unit, whereas normally multiple sheet fed operation would be required. With Pantec iPlace-Technology for highly accurate placement of Holograms concentric hologram that attract and fascinate by the perfection of the placement you reach a new level of quality. The foil consumption for the streams, which run in the "save mode" on CHEETAH™ is reduced to a minimum, by stopping the foil after a stamp, pulling it back and re-synchronizing it to the web for the following stamp. The remaining waste gap on the foil is less 1 mm. The foil is continuously fed into a vacuum box, where it is vacuum buffered before entering the high dynamic motion area. A save step drive pulls multiple foil streams from the in-feed buffer. Multiple save step drives can be installed. The drives perform the stop and go motion profile according to the design. After stamping foil is either wound up or fed into the waste disposal suction system. Holographic patches reside on thin plastic films. The Pantec friction free foil path and the vacuum buffers ensure homogeneous tension, without inertia of moving masses which may stretch the sensitive foil. Each hologram has its own printing mark. The Pantec technology detects every mark by a mark reader placed shortly before stamping, only. This and the unique vacuum foil motion system ensure excellent accuracy. 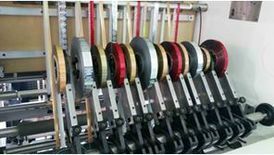 To ensure perfect side register, motorized lateral foil adjustment is provided.